The DLX Loader Scale features the most advanced technology in the industry. Thanks to a smart algorithm, the DLX scale will perfectly adapt to your loader, whatever its condition or its loading capacity. Entirely designed and fabricated in Quebec, the DLX loader scale offers a complete high-performance weighing solution at a very competitive acquisition cost. 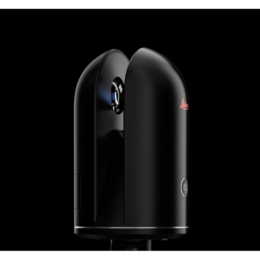 Revolutionize the way you work in GNSS with the Leica GS18T, the world’s fastest antenna with built-in tilt compensator…without calibration! Land surveying equipment – Guidance systems for heavy machinery – Laser scanners and processing software. The Leica TS13 Total Station is an upgradable total station that gives you the ability to get a complete robot by adding options. The RTC 360 laser is distinguished by its automatic recording of real-time positions in the field, without targets. It instinctively aligns the scans, which allows a great speed during your projects. The performance of the Leica Geosystems guidance systems combined with the proximity of ABTECH’S service ensures you unparalleled performance on the field. Ensure the success of your project with details that will make all the difference.